Pit pony bridle and bit. Pit ponies worked in the dark so didn't need blinkers. However, roadway walls were often uneven and could injure ponie's eyes. The 1911 Coal Mines Act made it illegal for ponies to go underground without eye protectors. The eye guards on this bridle were added after it was originally made, perhaps to comply with the 1911 act. 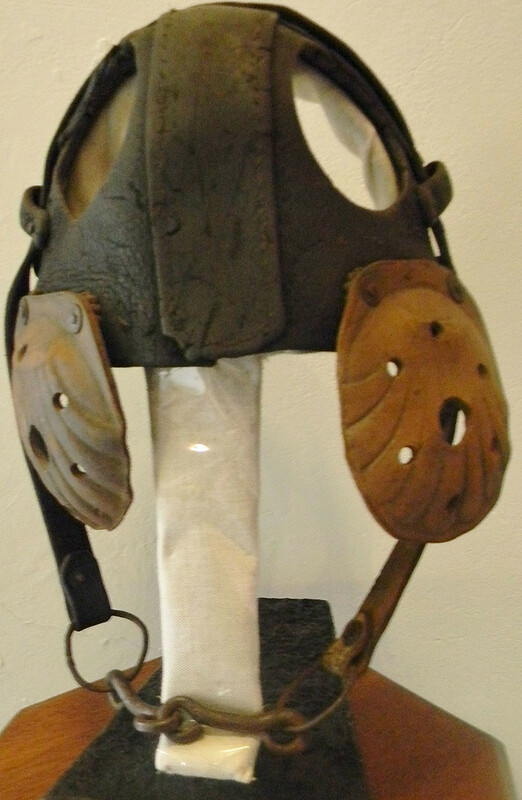 The heavy leather of the bridle also offered protection to the top ofthe pony's head, although its back remained uncovered and liable to injuries called "scrubbing" or "roofing".